Supplier of mobile disco and wedding DJ services. We are passionate about what we do and committed to providing a professional and reliable service to all of our customers. We take the time to learn the requirements of our customers and their guests and tailor the service we provide. We are well presented and professional and all equipment we use is modern, stylish and of a high quality. Required by many venues, Twenty4 Discos has a current PLI policy with Mobile DJ Network in the amount of £10 million. Also required by many venues, Twenty4 Discos has supplied satisfactory evidence of holding current PAT inspections of their equipment dated within the last 12 months. A Method Statement, outlining Twenty4 Discos&apos; Health & Safety procedure for setting up disco equipment has not been supplied. Why do people choose to book Twenty4 Discos? "What a great night! I loved everything about our day and Rich made the evening perfect, professional guy, great music - played something for everyone. Filled the dancefloor and everyone loved it. Thanks Rich." 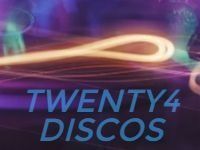 If you are contacting Twenty4 Discos about an event, it's always a good idea to include the DATE, LOCATION, EVENT TYPE, AGE GROUP and TIMINGS to speed things up!